Is it a waste of time for businesses to market their products via so-called archaic methods such as “snail mail,” coupons, newspaper ads and the like? After all, isn’t print dead? Not so fast. A Forbes article suggests otherwise. Surprisingly, the 18- to 34-year-old demographic prefers learning about marketing offers through postal mail over online sources, Lisa Formica, president of FMI, a director mail marketing and advertising firm, tells Forbes. It’s also easier to work with the U.S. Postal Service than people might think. An address verifier from QAS offers software that helps prevent spelling and formatting errors by enforcing address verification during data entry. This results in less returned mail, increases in call center efficiency and more successful first-time mail delivery, according to Qas.com. Erik Formica, of FMI, says the USPS has made many advances over the years to make direct mail a better value for marketers. “For example, the introduction of the Intelligent Mail Barcode has opened a range of new services and cost savings for marketers,” he was quoted as saying. Is your vision of a typical shopper who relies on coupons a little old lady with a black patent purse bulging with paper discounts? Nowadays a coupon consumer might be a 25-year-old with a decent income. According to ILoveCouponMonth.com, coupons are well used. 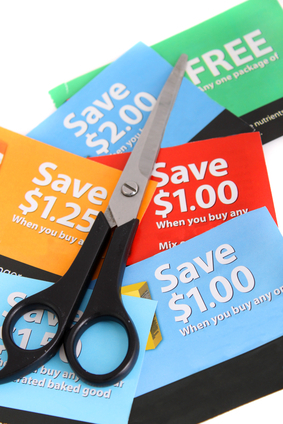 Consumers saved $4.6 billion through coupons in 2011. Shoppers also received $500 million more in coupon savings than in 2010 for an increase of 12.2 percent. Every hour spent couponing in 2011 was worth about $100. The site also mentions 78.3 percent of consumers reported using coupons regularly in 2010, up 14.7 percent from pre-recession levels. Consumer coupon use in 2010 added up to $3.7 billion in savings, increasing $200 million from the previous year. The fictional 1960s “Mad Men” advertising team of Don Draper, Roger Sterling, Peggy Olson and its colleagues have to work within the constraints of newspaper, posters and billboards as well as radio and TV ad spots. Draper needs to define his target market and decide how to reach them within those limitations. Since Draper has limited time and space, his messages need to be concise and to the point. Many marketers market products to the wrong audience. If the proper audience is reached, not much needs to be said to get the point across. A short, snappy, memorable slogan will be more successful than long-winded copy, it advises. For instance, Tattly sells temporary tattoos for people who don’t want poorly designed tats. Its messaging through site design, social media, blog, etc. is clear. Tattly also has defined its target market (likely design-minded people interested in temporary tattoos) and has pinpointed its messaging to that demographic in as few words as possible.